All evening lectures are free and open to the public! A special thank you to this year's Reshaping Rochester Sponsors! CDCR is supported, in part, by the New York State Council on the Arts with the support of Governor Andrew Cuomo and the New York State Legislature. Click here to listen to past lectures. This year’s series, now in it’s 14th consecutive year, explores how the way we shape our “space” can be a valuable tool for bringing people together; in essence, building community very intentionally through the way we design and build our physical environment. Our theme this year is Our City, Ourselves: Connecting People and Places. 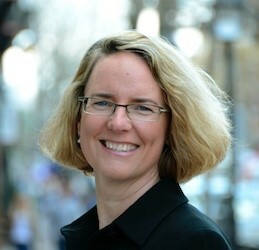 Ashleigh Walton serves as an architect, urban designer, and project manager on one of Urban Design Associates' design teams. She travels extensively on charrette with a mission to craft livable, traditional urban places and responsive architecture. As a former assistant to the Town Architect in Beachtown, Galveston, she honed the skill of design review which she uses often as a consultant for historic and riverfront architecture design review committees, in addition to design review in communities across the country. 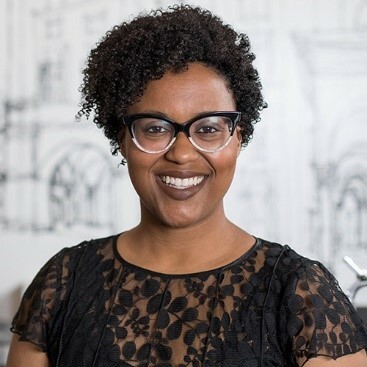 She is an active member of the American Institute of Architects (AIA), the Congress for the New Urbanism (CNU), the National Organization of Minority Architects (NOMA), the New Urban Guild, and sits on the board of Preservation Pittsburgh. She finds joy in mentoring students who have the aspiration of becoming architects and designers. AICP members can earn Certification Maintenance (CM) credits for this activity [or many activities at this event]. When CM credits are available, they are noted at the end of an activity description. More information about AICP’s CM program can be found at www.planning.org/cm. AICP members must be in attendance for the duration of the event in order to receive CM Credit. 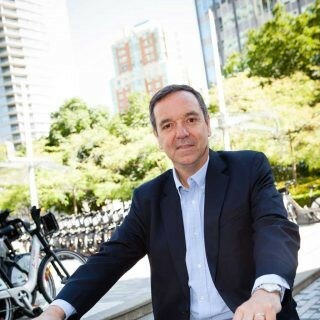 "Creating Healthy & Vibrant Cities for All"
In addition to founding and chairing 8 80 Cities, a non-profit whose initiative is to create safe and happy cities for all ages, Penalosa serves as the Chair of World Urban Parks and the President of Gil Penalosa & Associates. He is passionate about building vibrant cities through inclusive public spaces and sustainable mobility; i.e., commuting by foot, bike, public transit, or cars in a new way. Penalosa proclaims that this would lead to a variety of benefits, including those public health, environmental, and economic in nature. To date, he has personally advised over 350 cities internationally. Klaus Philipsen is president of ArchPlan Inc., a small architecture and urban design firm in Baltimore covering a wide range of projects including housing, adaptive re-use, historic preservation, and transportation. 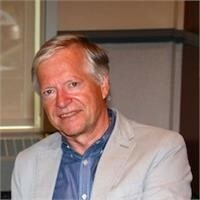 Philipsen has continuously combined community engagement and professional work, from working with public housing tenants as an architecture student in Germany, to his current leadership of the housing committee of the Social Determinants of Health Task Force in Maryland. 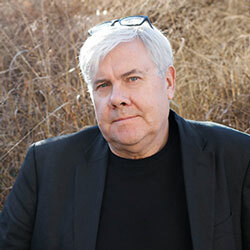 He has held many positions over the years including founding member of 1000 Friends of Maryland, chair of the Urban Design Committee of AIA Baltimore, chair of the national Regional and Urban Design Committee of AIA (RUDC), and member of the Maryland Growth Commission, Subcommittee on Planning Techniques. Philipsen is a Fellow of the American Institute of Architects and recipient of the Larry Reich Award given for special commitment to community-based planning and design. A member of OLIN for over 20 years, Newton has been involved in projects both in the U.S. and abroad. The following quote from Olin’s website describes the firm’s work and philosophy: “OLIN creates distinguished landscapes and urban designs worldwide. Our work is predicated upon social engagement, craft, detail, materiality and timelessness.” This is evident in OLIN’s notable projects of the past: Bryant Park, Canary Wharf, Battery Park City and more recently Alexandria waterfront and 11th Street Bridge Park in Washington DC. Richard’s recent works in the urban realm include Syracuse Connective Corridor in Syracuse, New York; the City Dock Master Plan in Annapolis, Maryland, and the Mount Vernon Place restoration in Baltimore, Maryland.